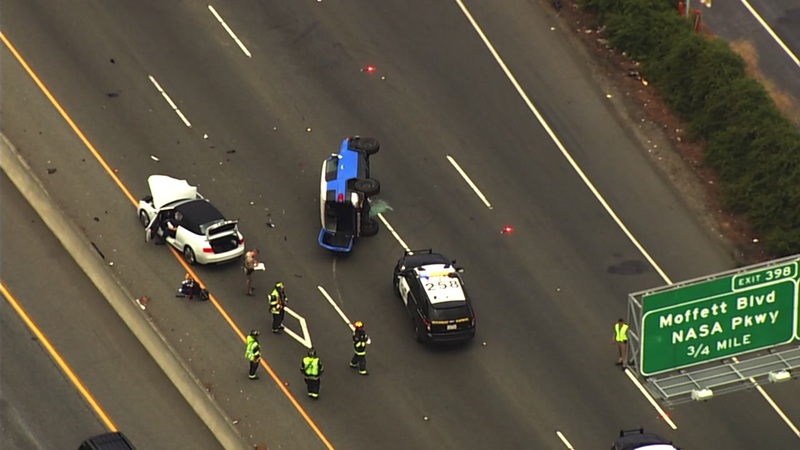 MOUNTAIN VIEW, Calif. (KGO) -- All northbound lanes of Highway 101 were shut down due to an injury accident near Moffett Field in Mountain View Monday evening. The accident involved an overturned SUV and at least two other vehicles. At least one person was injured and taken away by ambulance. Click here to download the ABC7 News App and make sure you enable push alerts for immediate notifications and breaking news.